There is something special about Kingston these days. There is an undeniable energy that can be felt when you enter the city. 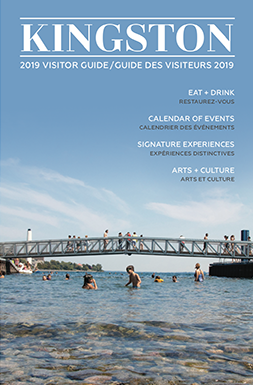 Kingston’s vibrancy is also bringing about beautiful partnerships and relationships in surrounding areas, particularly in the Prince Edward County. This past weekend, I had the chance to experience a guided wine tour with sommelier Ian Nicholls of County Sips. 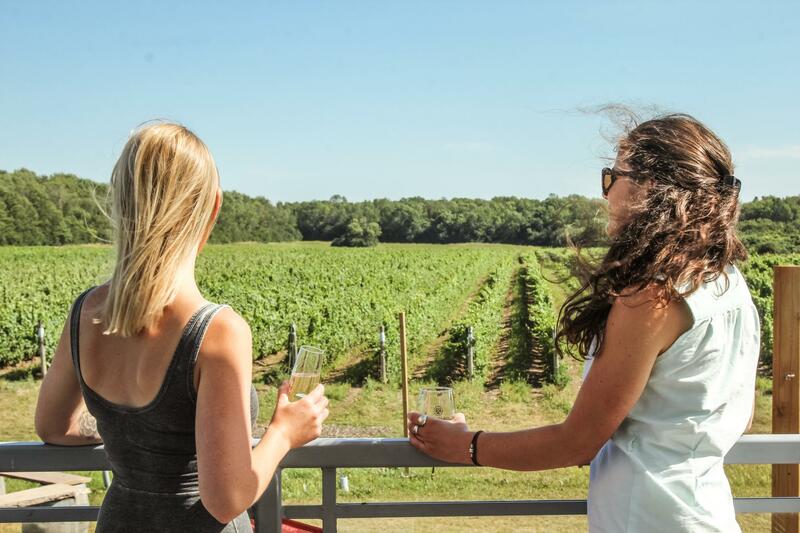 County Sips provides you with the perfect day touring through the Prince Edward County countryside and savouring the flavours of locally made wines. Ian’s customized tours are perfect for a weekend getaway, girls’ day out, bachelorette parties, or for any team building opportunities with your fellow colleagues. Ian is clearly well-liked throughout the county, and you get the feeling almost immediately that he will show you all the hidden gems, and has a great knowledge of both wine and food. My day was shared with a few of my close girlfriends on one of the most beautiful sunny days in the county. It all started with a pick up right from the Kingston Delta Waterfront. We were all looking forward to this day, and the pick-up was seamless (we even made a Starbucks stop before leaving town). While on the drive, Ian excited us all with a full itinerary of the wineries and places where we would dine for the day. Since it was a perfect summer day, we took the ferry ride into Picton. On our ride, we learned why the county’s soil profile is so good for growing grapes and the history of the area. Ian is also a wealth of knowledge about the winemaking process. Our first stop was Del Gatto Estates. Full of rustic charm, it was one of the most memorable wineries on the trip. Owners Pat and Heidi warmly welcomed us to the back patio where we felt as though we were right at home. The thing that struck me the most though, was the integrity and passion that Pat and Heidi possess. One of the longest standing wineries in the county, each wine we sampled had an interesting story behind it, which Pat happily shared with us. The stories and laughs were accompanied by a breathtaking view and a truly relaxing atmosphere. 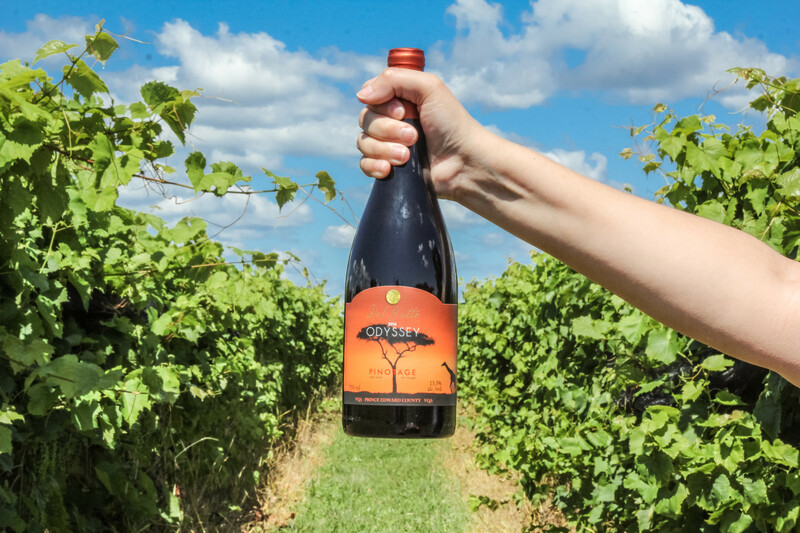 The must try wine is the Pinotage, a blend many may be unfamiliar with – Del Gatto Estates is one of five Canadian Pinotage growers in all of Canada! Next stop was lunch at the Waupoos Market Pub. 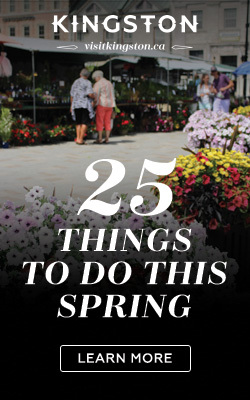 It’s true, restaurants are popping up all over the county, and this inconspicuous pub is a true hidden gem worth checking out. Recently, the Market Pub was taken over by a new owner and chef. The meal was incredible. Each dish came out, perfectly presented with the freshest, almost entirely local, ingredients. First, we shared a charcuterie board with a great twist – pickled eggs, snap peas and delicious cheese and meats. 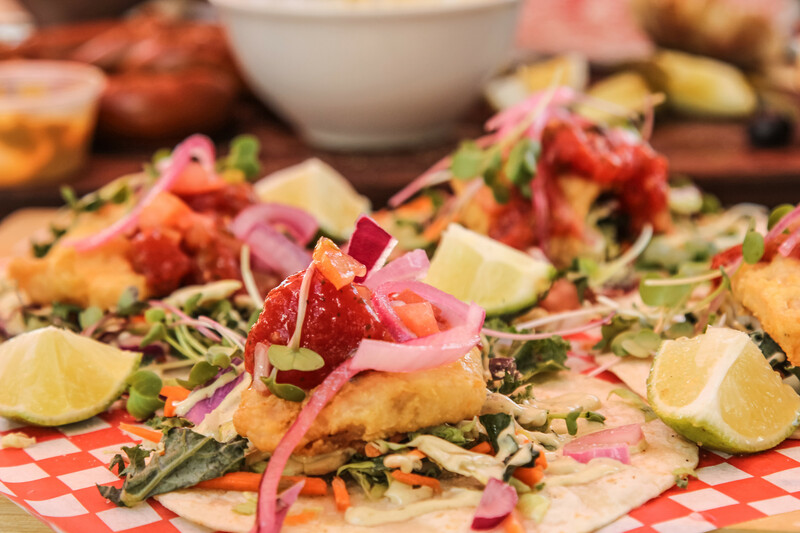 Next came a salad, fish tacos, and crispy dry rubbed, oven-baked chicken wings. I was also impressed with the service and flexibility – the Market Pub was happy to provide me with tasty gluten-free alternatives for every dish! We finished off our meal with County butter tarts with local blueberries and whip cream. Upon finishing our meal, my girlfriend commented “I want to start this meal all over again” – a sentiment we all wholeheartedly shared! After lunch, we headed to Lighthall, a winery that is very much off the beaten path, but worth the visit. We tried some deliciously buttery white wines with cheese pairings, and had a chance to take a peak at the equipment involved with processing wines. The overall vibe here was peaceful and comfortable. You can also try these wines at restaurants throughout the county and Kingston. Our next stop was to another one of the original wineries in the county- Rosehall Run. 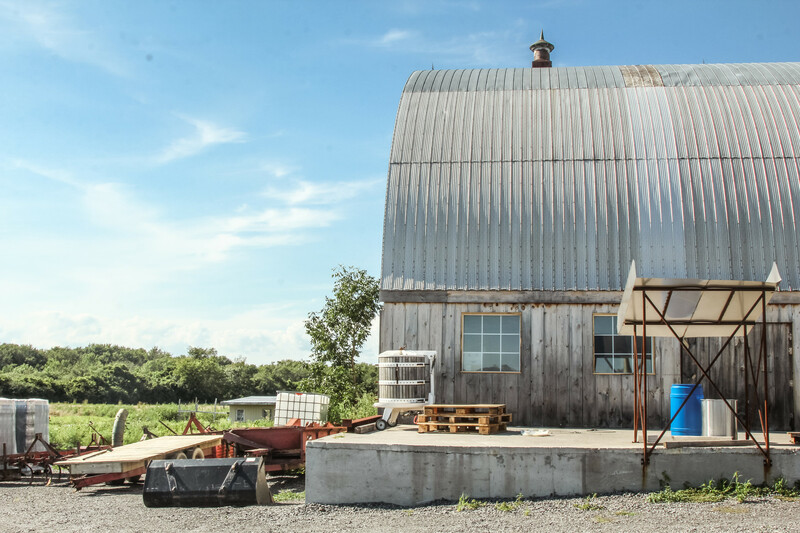 This winery’s rustic, yet contemporary vibe is surrounded by Lake Ontario and the home to internationally acclaimed and award winning wines. They are primarily known for their pinot noir, chardonnay and sparkling wines. Rosehall Run was buzzing with excitement when we arrived. Outside, staff were preparing for the Big Feastival in Burls Creek and an energetic group of women were celebrating a bachelorette. We were incredibly spoiled with lovely tastings and the comforts of beautiful private second story patio that overlooked the stunning views of the vineyard. Hinterland Winery surprised us all with its unique atmosphere. I was immediately impressed with the incredible exterior aesthetics. This gorgeous estate is nothing short of remarkable. Despite the fact we came at the end of the day, the staff treated us like family and warmly welcomed all of us into Hinterland. 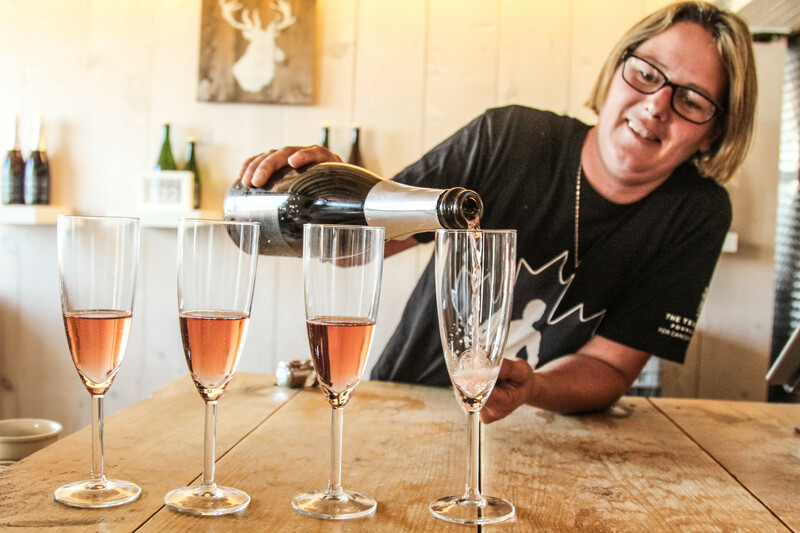 Vicki, one of the owners, radiated kindness and happily poured us glasses of bubbly that beautiful polished off our tastings in the county. Ian graciously escorted us back to Kingston as we sang and played our favourite songs. Ian’s wonderful sense of humour and demeanour is what made this trip so special for us. Ian is accommodating, informative and fun. Without question, I know that my guests and I would all participate in this tour again. After returning back to Kingston, I was kindly welcomed for a lovely evening stay at the Delta Kingston Waterfront Hotel. For someone that is a native of Kingston, never have I ever witnessed a more beautiful view of my hometown. I truly felt special, with the most magical view of City Hall, the harbour and Lake Ontario. After a full day in the sun, I happily welcomed a good night’s sleep. The soft white sheets and spacious bed swallowed me right up into the night. After a divine night of sleep, I made my way down to the hotel’s gorgeous restaurant AquaTerra. Our server, Colleen was exceptionally professional and friendly. Here I enjoyed one of the most delicious smoked eggs Benedict I have ever eaten. For those of you that have not been, it is one of the best breakfasts and views you will experience in Kingston, and not to be missed. My experience was so wonderful that I have already reserved a table to enjoy my birthday dinner with family and friends. This weekend reminded me that Kingston continues to be a hidden gem that gives both visitors and residents a beautiful stay and yummy tastes while being easily accessible to the rolling hills of the county and its relishing flavours of local wines. 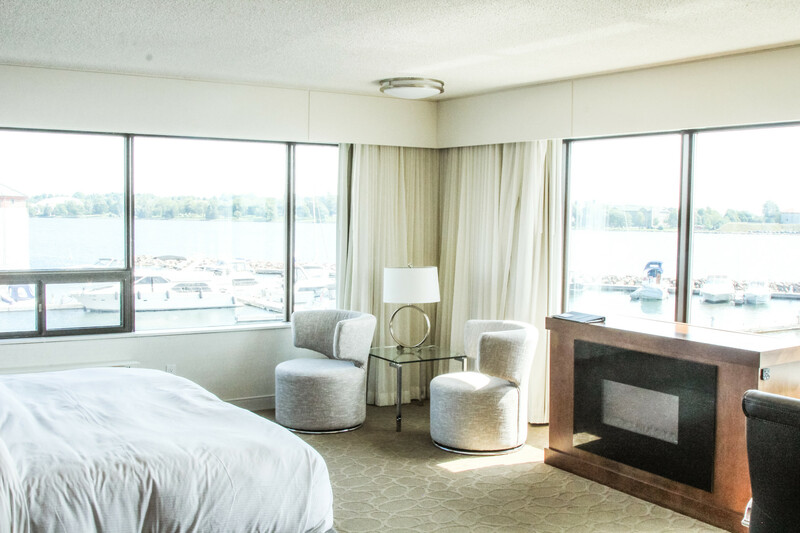 For those of you that are planning your next adventure, call Ian for a County Sips wine tour and treat yourself to a night at Kingston’s Delta Waterfront Hotel for an unbeatable experience.